Day 8. Day off in Inchnadampf. Ahh, a day off the bikes to give the legs a rest and time to recuperate. We slept for 10 glorious hours and had a leisurely breakfast looking out to the glorious setting of mountains and Loch Assynt. 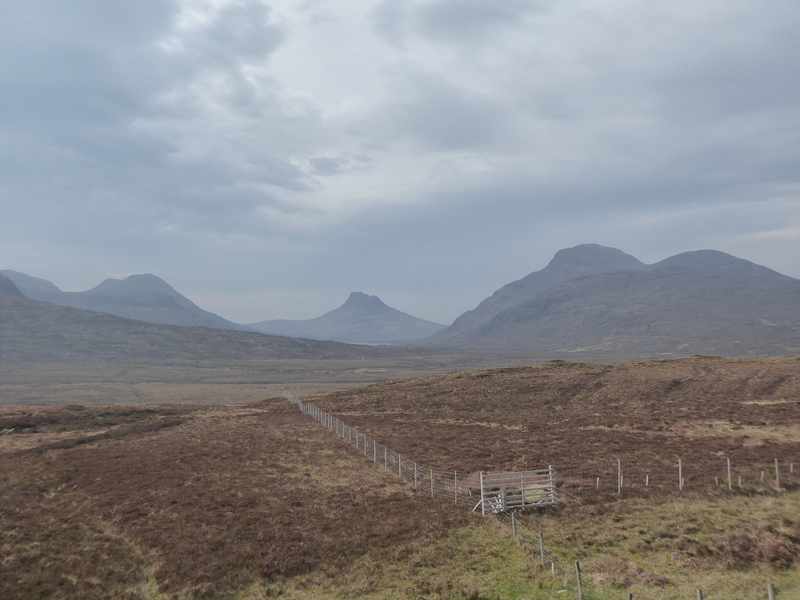 The weather forecast was better for the morning than the afternoon so we decided to take a stroll up the valley and were soon surrounded by mountains and bog – but extraordinarily dry underfoot. The area was limestone and full of an underground network of caves – at one point we got a glimpse as the river dived underground through the undergrowth. Walking back down the valley at a path intersection we met another chap who had set off at 5am to ‘bag’ a couple of Munros. He has done 98 so far. He was in the army and based in Edinburgh and did this as a hobby. 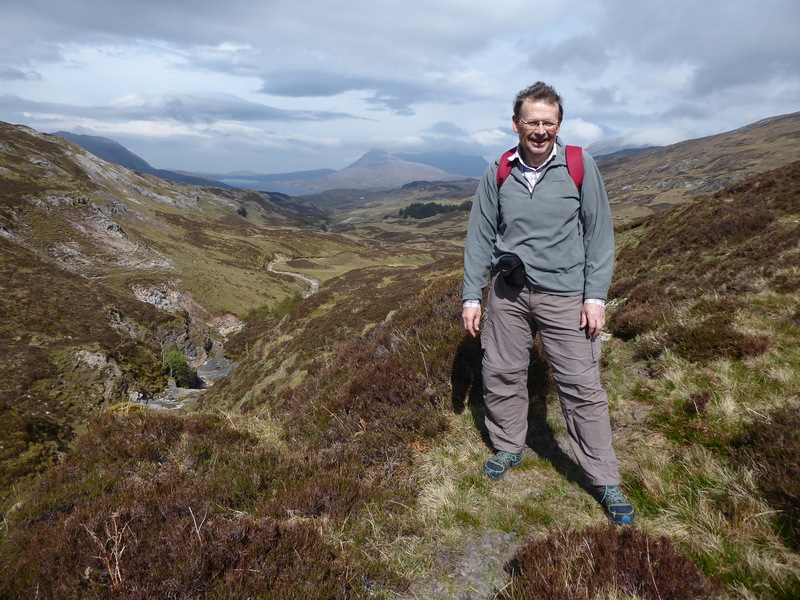 He told us there was a complicated grading before a mountain qualifies as a Munro and there are about 5000 people in the UK who have climbed them all. A hobby that will certainly keep you fit. The rest of the day we had a very lazy time and enjoyed reading and chilling. 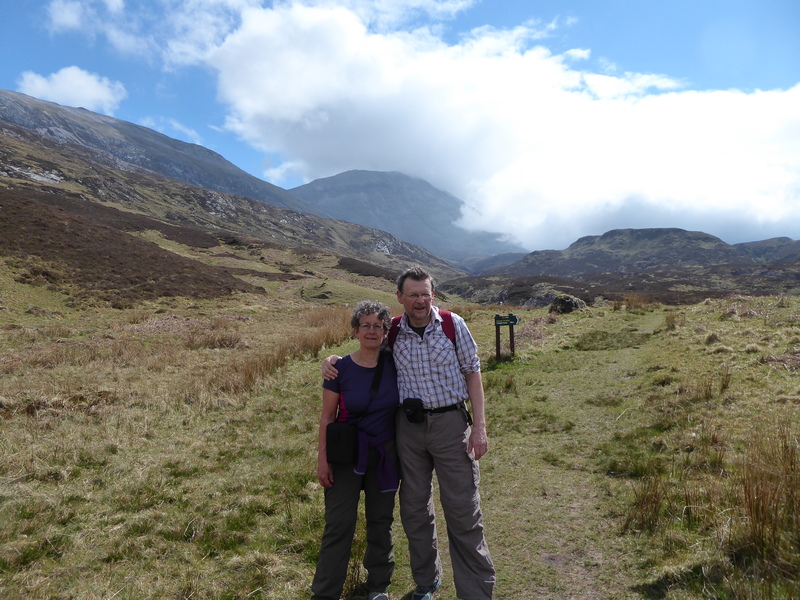 We then decided to take a trip and hitch hike into Lochinver, the nearest town, about 12 miles away. We soon got a lift from a couple staying there on holiday and as we did the forecast rain started to drizzle. It did not take long to walk round a rather damp Lochinver but in the process stopped at the ‘Pie Shop’ that makes an incredible array of pies and brought some for our lunch tomorrow and then had a great meal at Peet’s Restaurant – highly recommended if anyone is out this way! Wonderful seafood and I then had Chicken stuffed with haggis in whiskey sauce. Very delicious! Is that a receding hairline I see before me? Looks as though you are having a great adventure. I only found out last night that you were writing a blog from John Iles!!! did winder why I hadn’t heard anything from you. good luck and fair weather for your next week. Crumble is fine – having a great lazy holiday! Good decision to take a day off in assynt! The pie shop is certainly a great place for lunch. The domed Peak of sylven over the top of lochinver is one of my favourites.